22% of CIOs believe that lack of talent is the single biggest challenge, this year. Mission critical means more today. In a world where change is constant and you must do more with less, you want an infrastructure that goes beyond dependable to contributing real business value. Embee has extensive experience in managing complex IT infrastructure environments, supported by its deep partnerships with leading technology providers. Is your data center geared to help you reach your business goals? A reliable, scalable and modern data center creates an agile foundation that helps your business to grow quickly and cost-effectively. 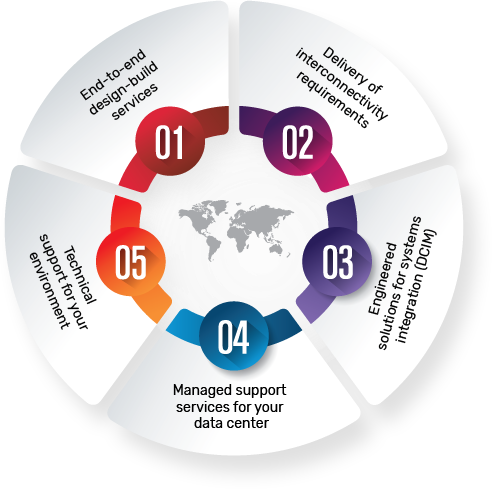 Embee has in-depth experience in building and managing global data centers and IT systems. We offer technical support services and end-to-end build solutions to assist you with your unique data center design and implementation. Is your IT infrastructure as agile as your business? 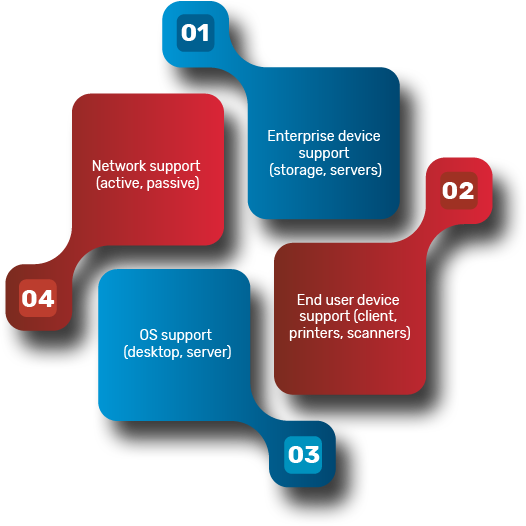 The need for simplified, flexible, and comprehensive IT Infrastructure support is critical to keep up with the pace of big data, mobility, collaboration and cloud demands on your hardware, software, network, and facilities. Embee is one of the leading providers of mission-critical infrastructure support with on-call, on site and remote services for clients. Embee provides a range of Infrastructure Support Services. Embee is a frontrunner in the technology solutions and service industry. For decades, we have combined domain knowledge & customer centricity to consistently enable organizations to transform their workspaces. On behalf of our organization ‘Atlas Healthcare Software India Pvt Ltd.’ I would like to say a big Thank You to Embee for their continuous support. Embee is not only a box seller to us, but a true solution and service partner. And when it comes to Service and Support, you guys are really amazing. With a bunch of experienced service engineers from workstation to enterprise class data center equipment, Embee’s support team is making the life of our IT team easier. I really appreciate and thank each and every one in the support and service team of Embee. Its almost 10 years of association with Embee and we hope to continue the same for years and years. Embee is the preferred support & servicing partner for leading Indian corporates.